3 Auto-updates between systems, so your data is always current. 3 No technical knowledge required! 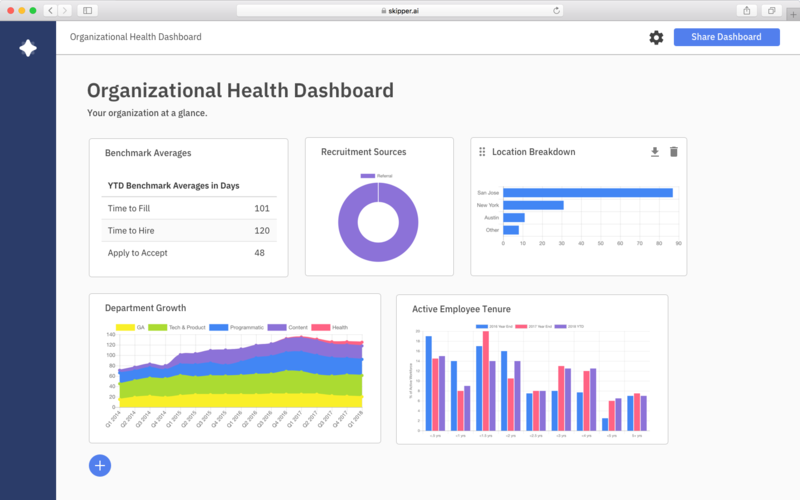 Skipper enables any company to run people analytics in minutes. 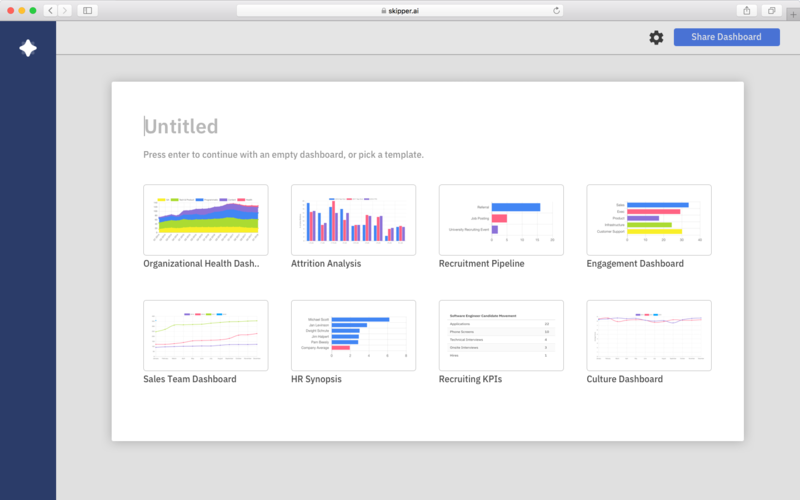 Our service automatically syncs data from HR systems, spreadsheets, survey tools, and other enterprise software so companies can run in-depth analyses using all their data. Connect your SurveyMonkey account today for free and better understand your employees. • Generate reports and visualizations straight from survey responses—no technical expertise required! • Compare survey responses with data from HRIS systems like Namely and BambooHR. 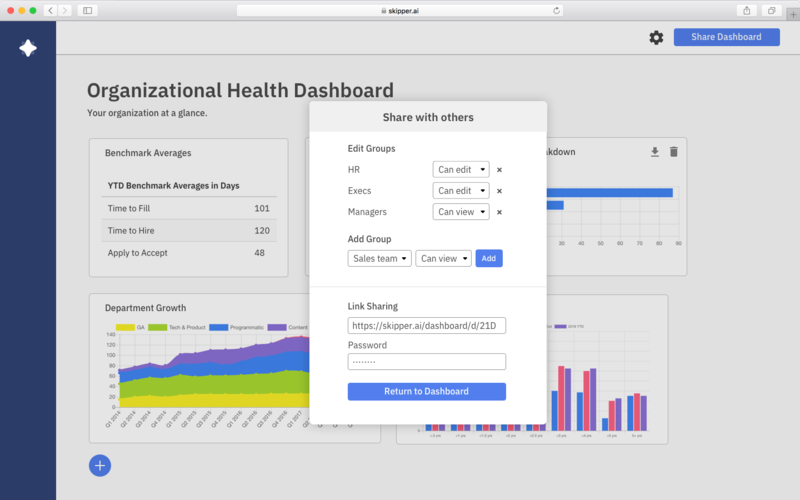 • Compare data collected from multiple surveys in our custom graph editor. • Find outliers in survey data compared to industry benchmarks. To integrate SurveyMonkey with Skipper, you must be signed in to your Skipper account (it's free! ).